TME’s range of products has been extended by CONEC kit enabling preparation of a sealed (IP67) network connection (RJ45). The 17-10019 socket is designed so as to enable installation from the front as well as from the back of the hole in the bulkhead. The maximum wall thickness is 3,2mm. This is a double socket, which means that RJ45 cable can be connected from both sides. 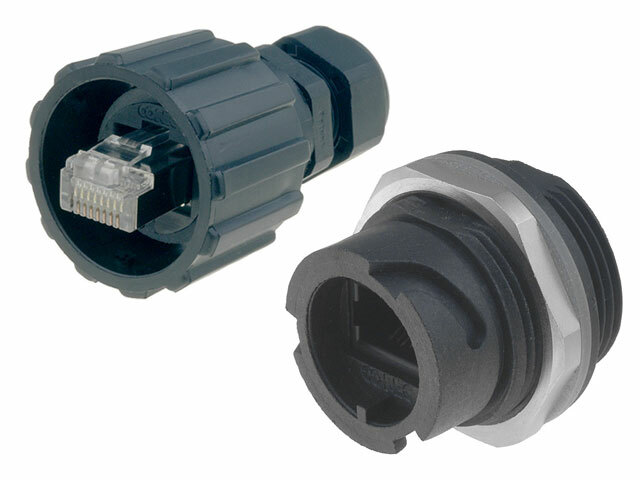 Moreover, the 17-10001 sealed plug consists of a standard RJ45 Cat 5e connector to be clamped on a wire or an AWG24 cord and sealed enclosure. The above kit can be supplemented with the 17-10002 enclosure which allows to cover unused socket.